Mary completed her undergraduate work at the University of Utah in 2009 before graduating from Roseman University of Health Science in 2013 with her Doctorate of Pharmacy. Mary has been with us since 2000 when she started as a cashier and quickly decided to become a technician and eventually to attend pharmacy school. 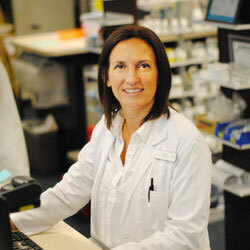 Mary is a certified compounder and focused on compounding and retail pharmacy throughout all her schooling. Mary was excited to become the new owner in October of 2016 and bring back the Bountiful Drug name. Kort completed his undergraduate work at Weber State College in 1978. 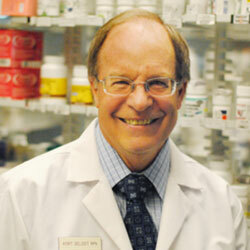 He then went on to the University of Utah where he graduated with his BS in Pharmacy in 1981. Kort is truly a “Drug Store Brat” from his days at Bountiful Drug as a stock boy. He has since then had many professional accomplishments including; President of the Utah Pharmacist Association 2009-2010, Innovative Pharmacist of the Year 2002, President of the Utah Co-op of Independent Pharmacists 1995-2005, Preceptor of the Year University of Utah College of Pharmacy 1991, and the Young Pharmacist of the Year-Utah 1989. Kort started compounding back in (1987?) before it was a popular thing. He also has many years of experience working with practitioners and patients in bio-identical hormone counseling. Kort was the owner and pharmacist of The Medicine Shoppe from 1993 until 2015, he is excited to continue on with our team as a valued pharmacist and compounder. 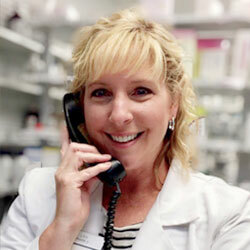 Lisa has been practicing pharmacy for 20 years. She graduated from the University of Arizona in 1997 and started working for Kort at the Medicine Shoppe. She worked there for six years before her family moved to Wyoming. Lisa was the director of a hospital pharmacy for 12 years and also took care of the nursing home residents. She is the mother of 5 children and understands the special needs of the pediatric patient. She is excited to be back in Bountiful and to see all the familiar faces. Lisa enjoys meeting with people to help them with their complex drug therapies and perform Medication Therapy Management.